For priority notification of new listings on Taveuni, Qamea, as well as Savusavu and northern Vanua Levu you can also subscribe to our mailing list. 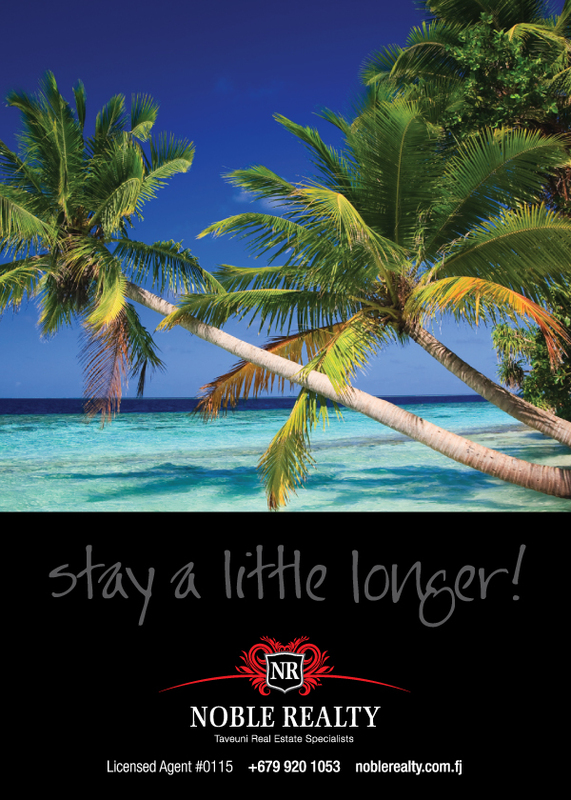 For general enquiries regarding our Fiji real estate listings feel free to contact Noble Realty and we will get back to you as soon as possible, or visit the FAQ’s and Links pages. Noble Realty has homes and land for sale on Taveuni, Qamea, and neighbouring parts of Vanua Levu, including real estate in Savusavu. Our selection includes beachfront homes, ocean view properties, rural and farm land, existing resorts and undeveloped land ideal for investments and real estate portfolios.